We were contacted in February to plan a party celebrating the success of the Facebook brand Aunty Acid. The date was set for the end of July and we filled in the details. 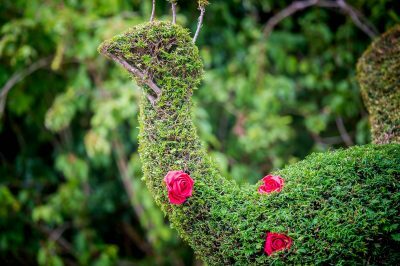 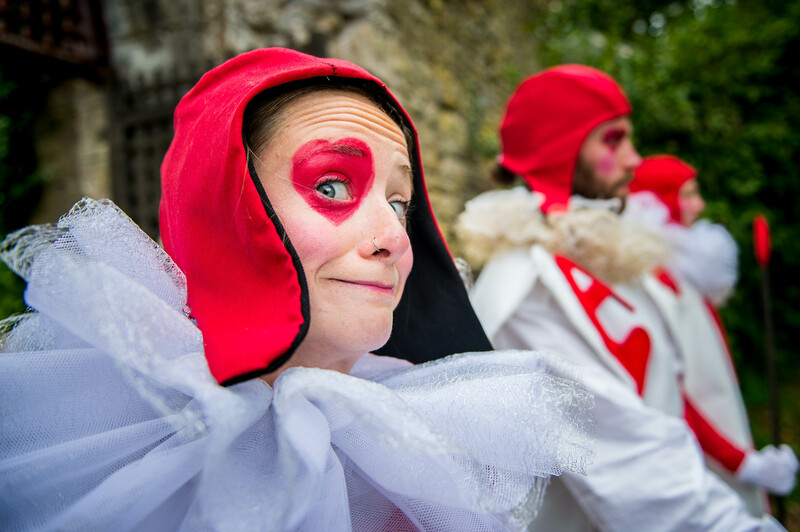 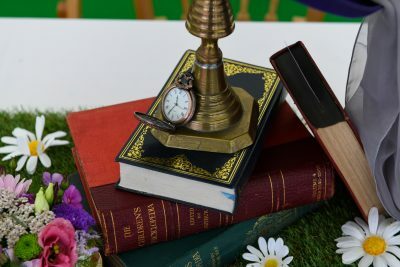 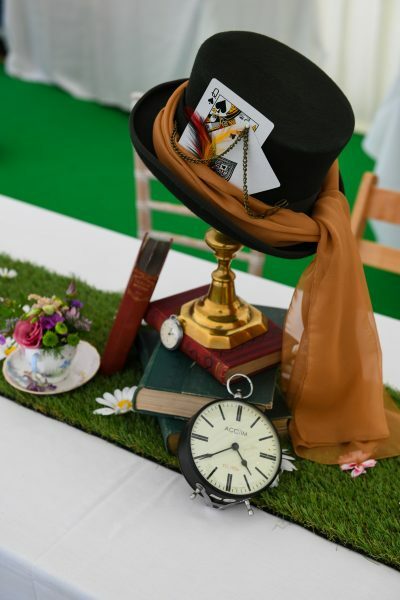 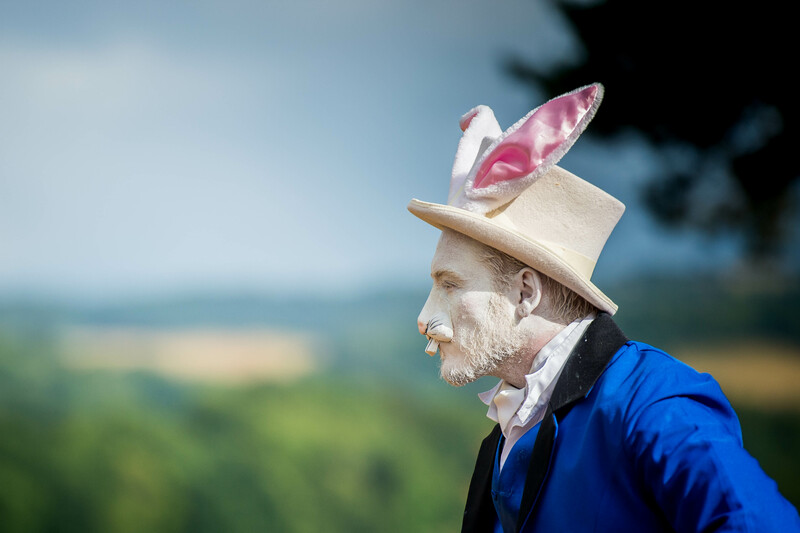 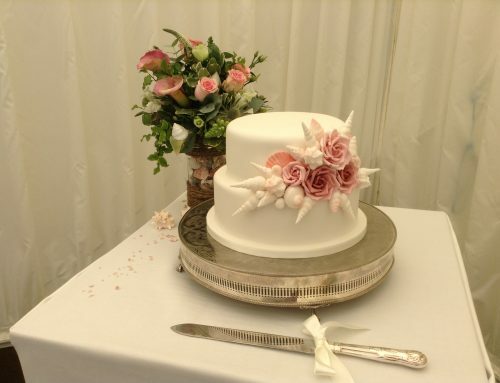 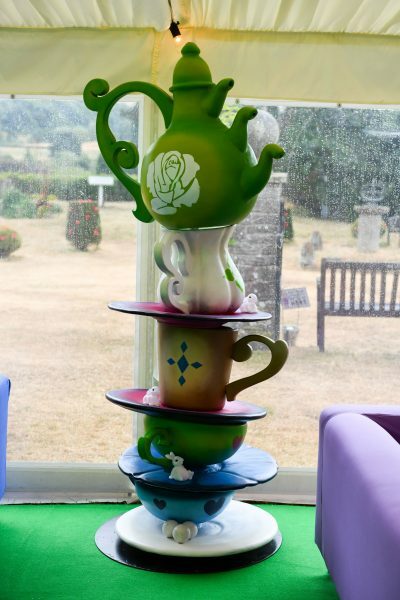 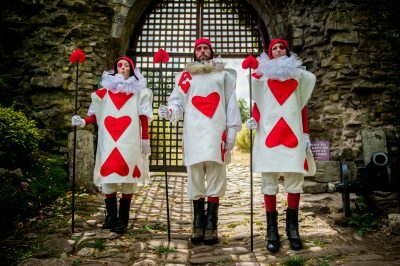 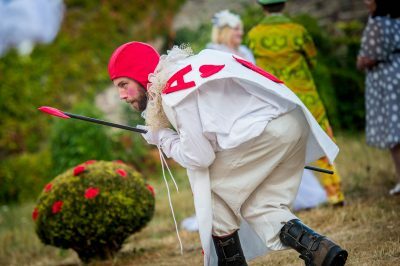 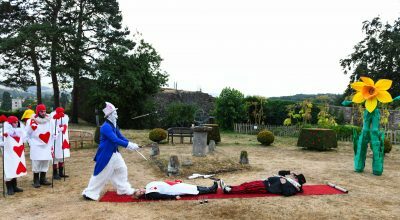 This was a lot of fun to work on and allowed us to be really creative with an Alice In Wonderland theme in the perfect backdrop of Usk castle. From the time guests arrived to when carriages whisked them away at midnight, they were entertained. 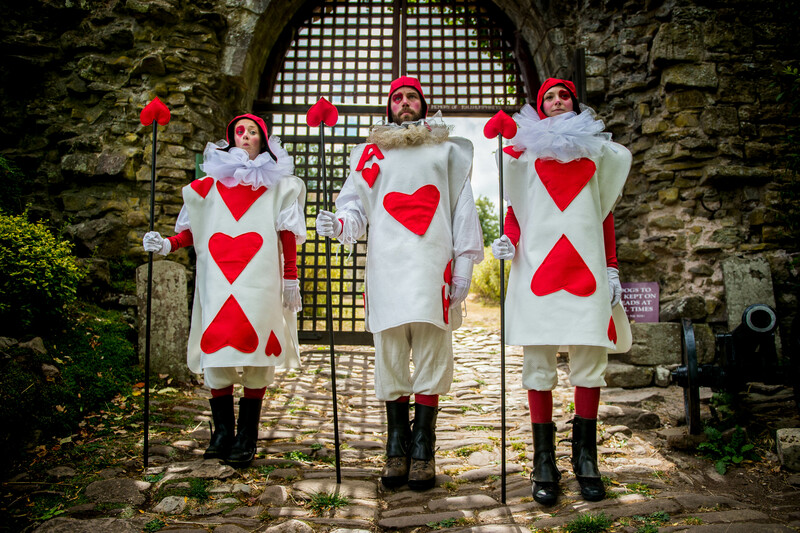 We had the most amazing Card Guards greeting everyone from the car park, marching the guests into the amazing wold of Alice. 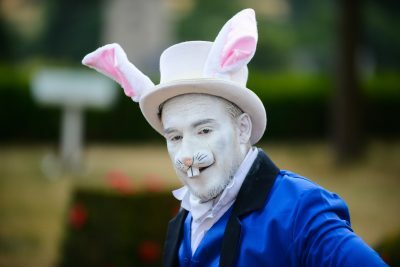 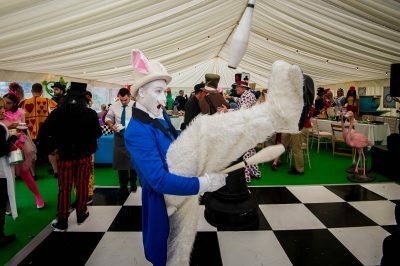 A mischievious White Rabbit delighted guests with his juggling skills and oversized props made sure everyone felt the ‘Drink Me’ effect of being 10 inches tall. 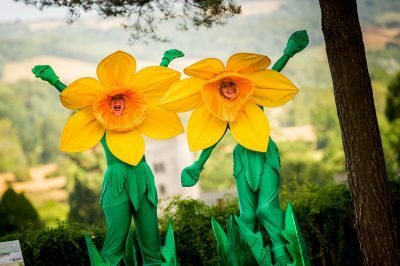 Including daffodil wearing stilt walkers! 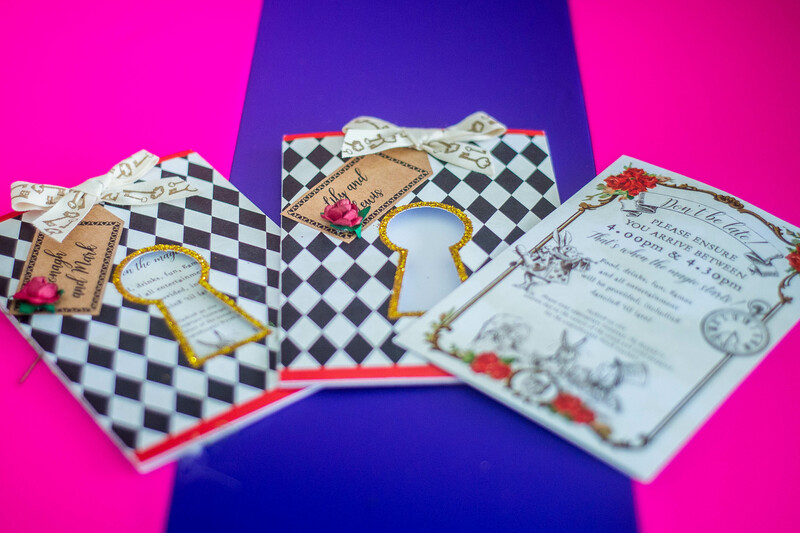 Every guest came Down The Rabbit Hole and embraced the Alice In Wonderland theme. 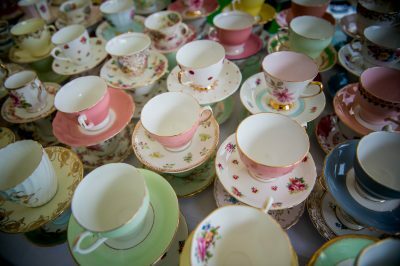 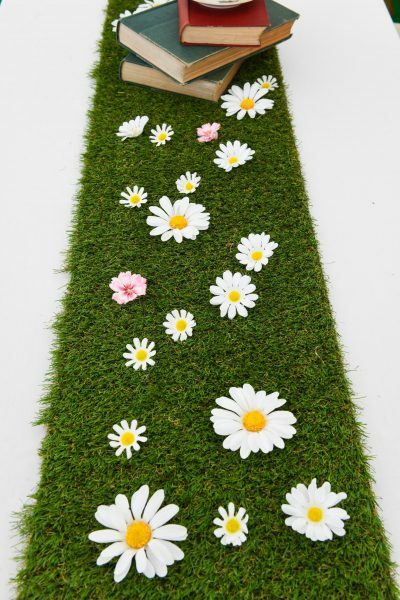 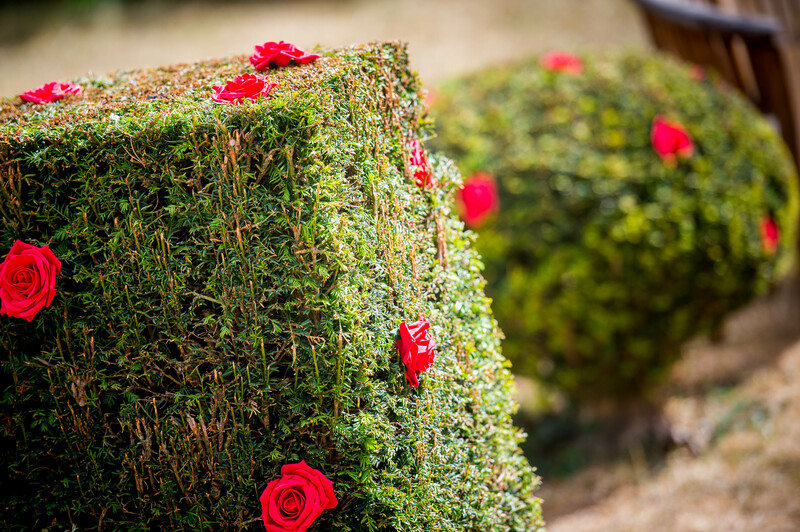 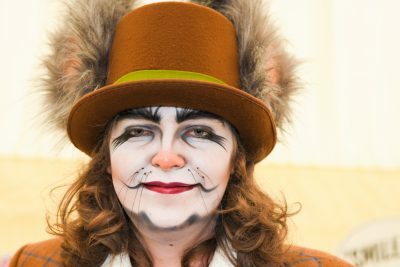 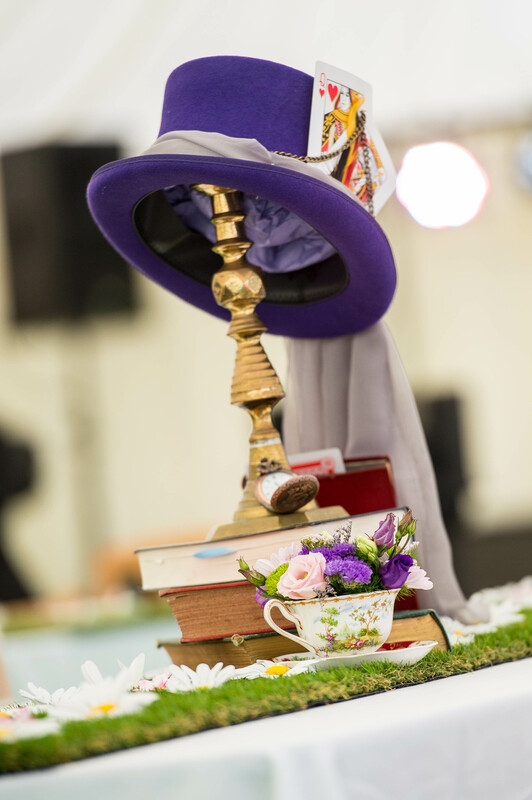 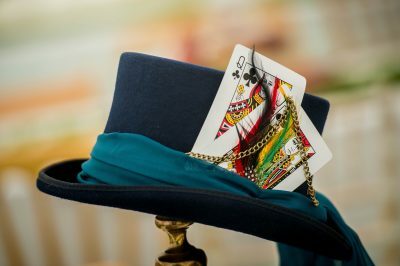 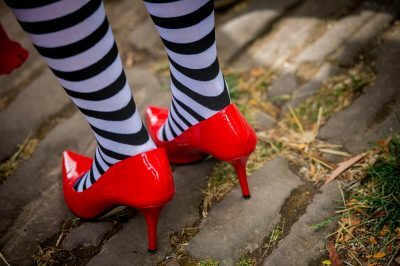 In this whimsical venue everywhere you looked there were Mad Hatters, Cheshire Cats, Caterpillers, King and Queen of Hearts, and of course Alice. 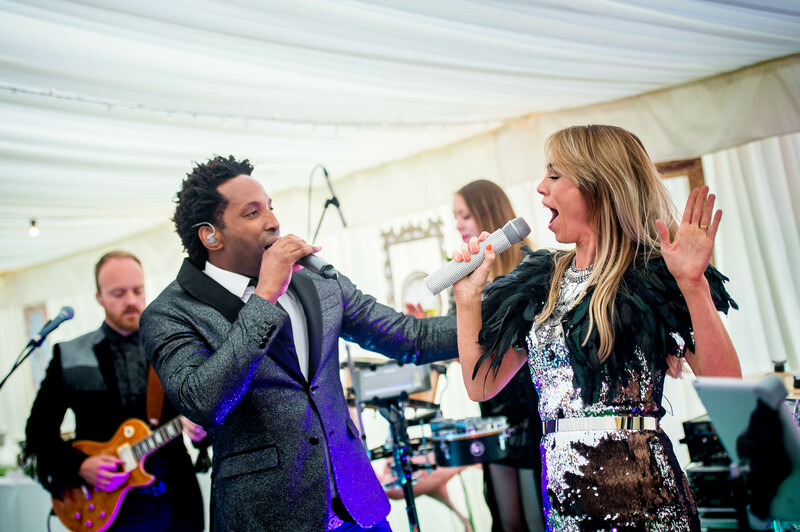 But no party is complete without a main act and we were delighted to be able to secure iPop to provide live entertainment getting everyone up and dancing. 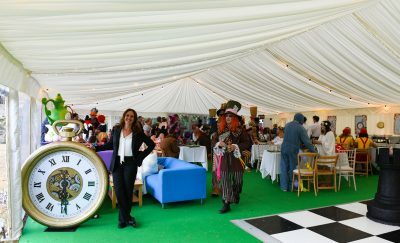 The chessboard dance floor was never empty! 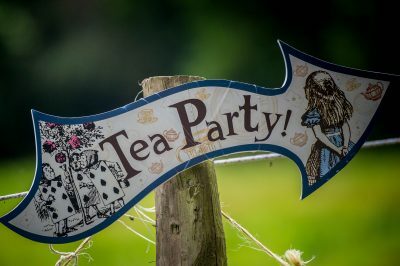 The hosts were overwhelmed that so many of their friends and collegues travelled from all over the World to celebrate their hilarious character Aunty Acid.